With such a great turnout at our last training, we are putting on another session to meet demand! So this is a shout-out to all budding comedians again! 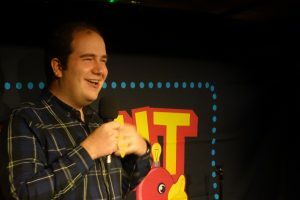 If you work or study at the University of Dundee, and you want to try your hand at a new way of public engagement, then come along to this comedy training, and develop your skills in stand-up comedy and public speaking. The training can really boost confidence in public speaking or just hone and enhance skills you may already have in public engagement. The training will develop your communication skills about the work you do at the University, whether it is about student life, or your research. We’ll help you find the humour in your research! The training will take place on Monday 28 January 2019, 5-9pm, on the city campus of the University of Dundee. To find out more, or to book your free place on this workshop, then email us. The training will take place on Monday 1st October 2018, 5-9pm, on the city campus of the University of Dundee. 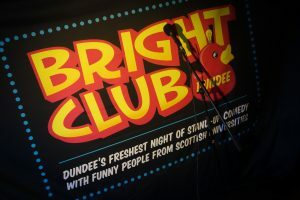 Bright Club Dundee #31 was another cracking success! With five performers making their debut appearances at Dundee, it was a fantastic night which had the crowd in so much laughter! If you missed out on tickets, or if you want to re-live some of the highlights from the show, you can catch the action here on our playlist. 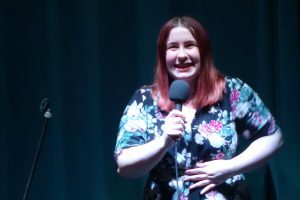 Join us on Tuesday 24 April 2018 in Duke’s Corner for another fantastic night of comedy featuring academic talent from Dundee and beyond! Doors open at 7.30pm and the night kicks off at 8.30pm. Tickets are only £6 so make sure you book yours today before it’s another sell-out-show! Follow us on our Facebook page for the quickest updates and to find out more about our upcoming shows. Well, after a full house at our last training, we’ve decided to put another training session on for all you interested people! 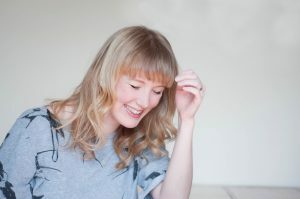 If you are a researcher, academic or student at the University of Dundee, and you want to try your hand at a new way of Public Engagement, then come along to this training, and develop your skills in stand-up comedy and public speaking. The training can really boost confidence in public speaking or just hone and enhance skills you may already have in public engagement. The training will take place on Monday 19 February 2018, 5-9pm, on the city campus of the University of Dundee. To find out more email us. Grab the popcorn, pull up a seat and turn off your phones! This playlist is worth every minute! 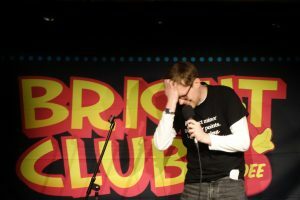 We are back with another cracking night of comedy in Dundee! 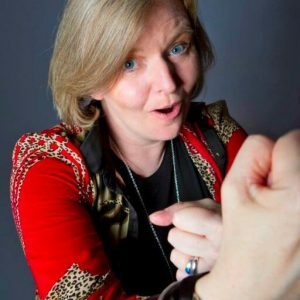 Join us on Tuesday 26th September 2017 and meet some of the funniest people from the University of Dundee, as they make their debut on stage, joined by the one and only Susan Morrison! Susan is in a class of her own when it comes to quick-fire wit. 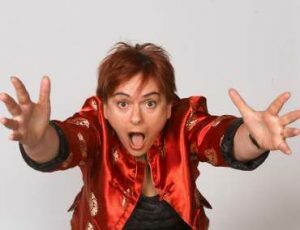 She mixes real-life experiences, topical observations, audience interaction and Glasgow style storytelling to spellbinding effect. 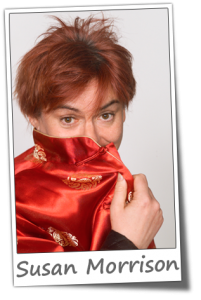 Prof Jan Clarkson from the University of Dundee is heading to the Edinburgh Festival Fringe, as part of the Cabaret of Dangerous Ideas 2017 programme on Tuesday 8th August 2017, 1.50pm. Join Jan and comedian Susan Morrison as they debate, discuss, and discourse whether visiting the dentist is really necessary in this hilarious show! We are pleased to announce that we now have our line-up for 21st February 2017 at Braes, Dundee !